Whilst trying to "tidy up" my laptop because I will be getting a new one soon, I found these pictures and suddenly noticed that I had completely forgotten to post them! I can't believe I took them late last summer - time really does fly. Not wanting to just bin the pics and since I really liked the shop, I've decided to share them now - better late than never as they say. 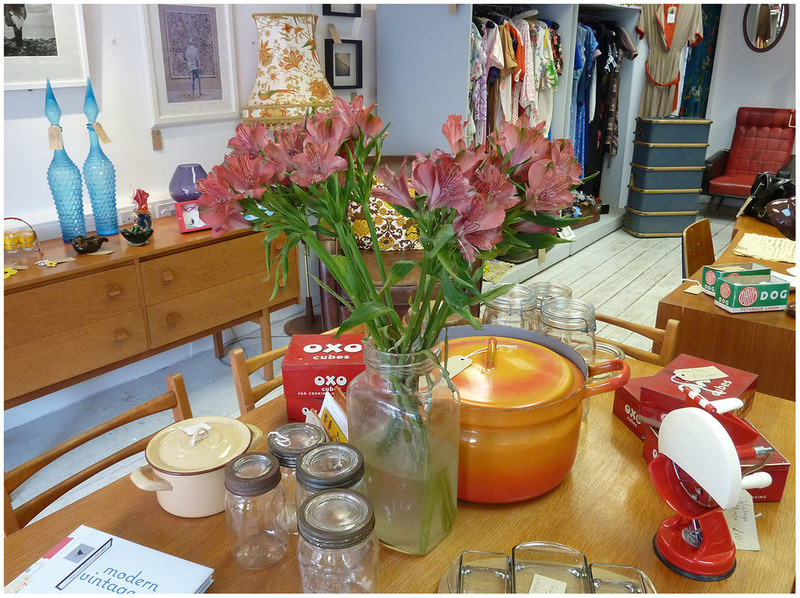 This is Valentines in Whitstable, a fabulous retro and vintage shop in a beautiful little seaside town. 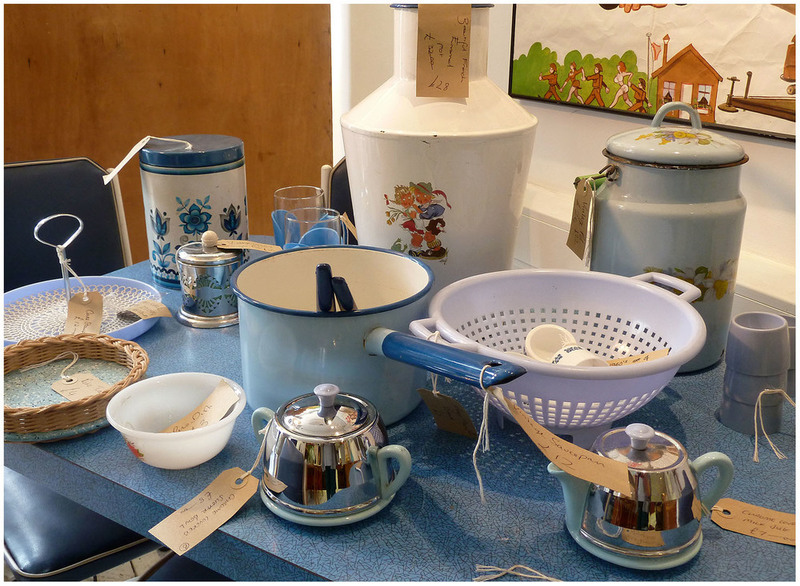 The shop is filled with mainly 20th century items which range from furniture and household goods to clothing and accessories. You wouldn't believe how much time I spent in there browsing, admiring everything on display and "oooohhh-ing" over their super-cute dog. 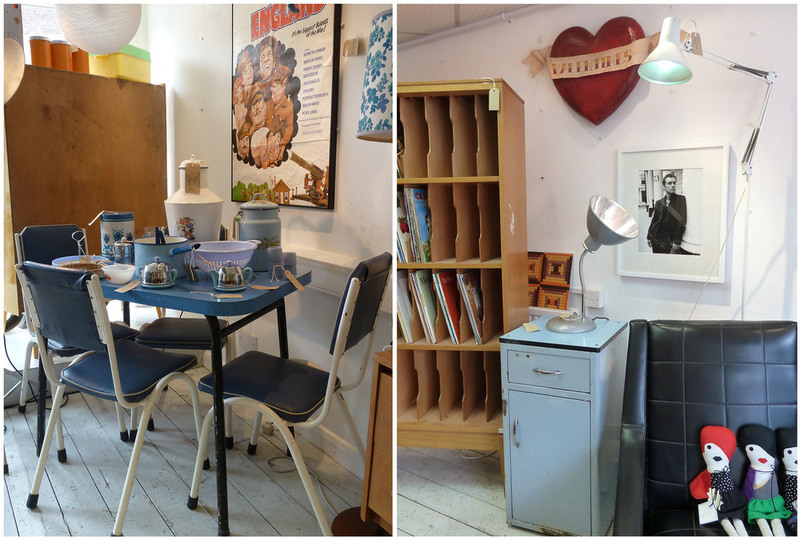 If you're ever in the area - and Whitstable is worth a visit anyway - make sure you pop into this shop. The stock obviously constantly changes, so what you see in my pics won't necessarily be what you'll see when you get there. Tempting, non?